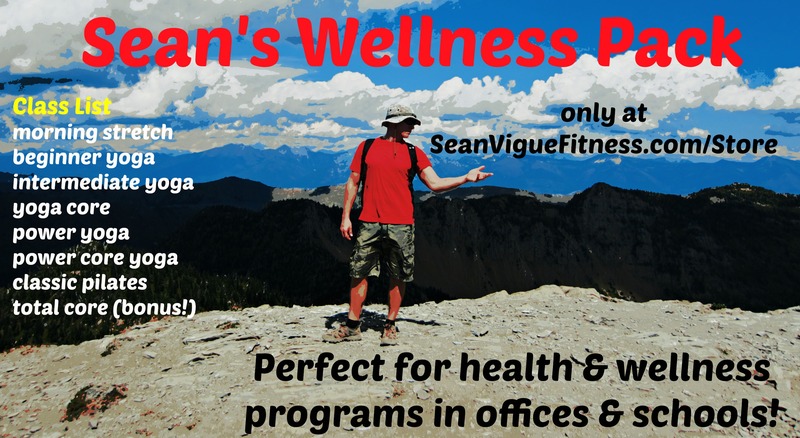 Home \ Sean’s Wellness Pack is Perfect where you Work, Play or Compete! 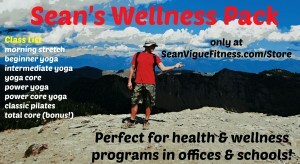 Build a healthy & fit team with Sean’s Wellness Pack! Sean’s Wellness Pack is the perfect tool to create a successful Wellness Program for your business, school, sports team or just yourself! SWP contains seven, 30 minute downloads combining Yoga, Power Yoga, Pilates/Core, Flexibility training & BootCamp exercises designed for all fitness levels from beginner to advanced. Order now and receive my popular 18 minute Total Core Workout as a free bonus! SWP contains only bodyweight exercises that can be done anywhere anytime making your body the ultimate workout machine. Build strength, focus, energy, balance & power – this is your complete fitness plan! Why wait? Have the most efficient business, energetic students & the best sports team around! Sean’s Wellness Pack consists of 7 downloads plus my 18 minute Total Core Workout as a free bonus. Each workout is 30 minutes long. Sean’s Wellness Pack is priced at $24.99 – that’s almost 4 hours of workouts you can do anywhere anytime at your own pace. Click here to start the transformation! I’ve seen the transformative power of these workouts in the over 5000 lives classes i’ve taught and the millions i’ve reached with my workouts online – It’s time for YOU to make a difference!